NW Della Robbia trims and decos feature deeply sculpted bas relief designs, in a wide variety of sizes and patterns, with corners and stops to customize your job. 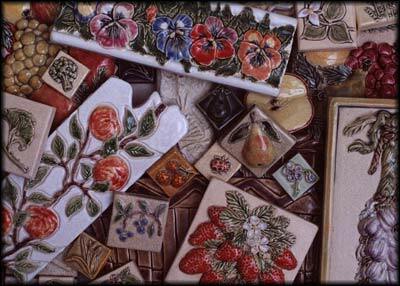 They can be finished in polychrome colors, using the Campagne glazes, or monochrome. The Antigua, Campagne, or Tessera glazes will dramatically highlight any installation.